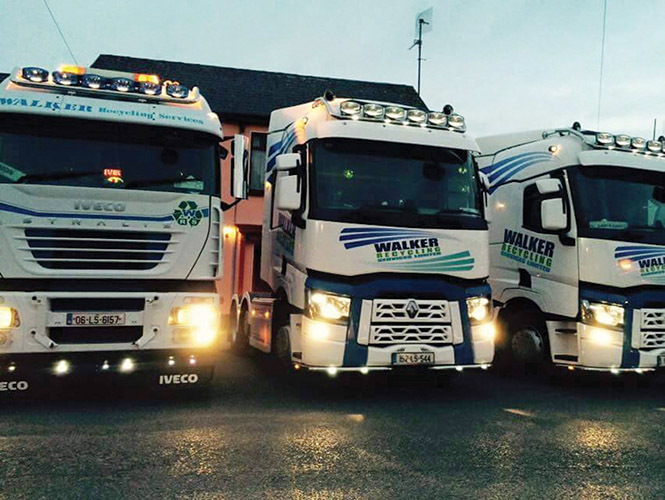 Walker Recycling Services Ltd in Clonkeen, Portlaoise will be represented on the double at this year’s Full of the Pipe Truck Show. As well as entering the pick of their own fleet, sales representative Shaun Donlon will be bringing along his own truck. A former long-haul driver with Fynes Logistics, Shaun joined Walker Recycling Services last November. “My role is to generate new business and plan farm plastic collections,” explains the Newmarket-on-Fergus, Co. Clare native, who has been passionate about trucks for as long as he can remember. Shaun has been attending the Full of the Pipe Truck Show for the past number of years and is eagerly looking forward to this year’s event in Punchestown Racecourse, Co. Kildare on Saturday, June 9 and Sunday, June 10. “Punchestown is only up the road from Portlaoise so it’s very convenient to us,” he says. Shaun is full of praise for Full of the Pipe and its organisers Kevin Mulqueen and Colin Hegarty. “It’s definitely the best truck show in Ireland,” he maintains. “I started going to it as a spectator five or six years ago when it was in Cavan and it has got bigger and better every year since. It caters for all types of trucks, from vintage to full blown custom trucks. The atmosphere is terrific and it’s just a great day out for all the family. Everything is geared towards the driver and the truck enthusiast. It’s a great place to meet up with other truckers and I would recommend it to anyone. Established in November 2007 by Robert Walker, Walker Recycling Services Ltd specialises in the recycling of farm waste plastics such as bale wraps, silage pit covers, fertiliser bags, twines and chemical containers. The company is a registered contractor with the IFFPG (Irish Farm Film Producers Group) for all your farm plastic collection needs. The IFFPG is Ireland’s only Government licensed recycling compliance scheme which is responsible for providing an efficient and cost-effective farm plastics recycling service to farmers nationwide. The IFFPG is committed to ensuring that the national recycling targets set out by the Government are exceeded. This is achieved by operating approximately 235 bring centres as well as providing a farmyard collection service. The IFFPG is currently recycling in excess of 25,000 tonnes of farm plastics annually, which equates to a national recycling rate of 71 per cent. The scheme is “not for profit” and is funded through a levy that is charged to members. Additional funding is received through a weight-based collection charge that farmers pay. Walker Recycling Services collect both at the farmyard and at designated bring centres and is the largest exporter of farm plastics in Ireland. In addition, the family-run business provides a Repak ELT approved tyre collection service. 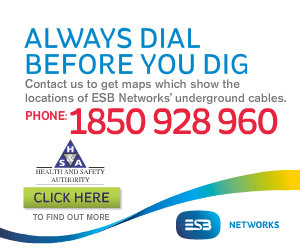 “We’re located in Clonkeen, Portlaoise, which is near the M7 toll booth,” Shaun explains. “Robert Walker runs the company along with his son Alex and a management team. It has grown over the last 10 years to employ 25 staff, 10 of which are drivers. The rest are split between office and yard operations. We processed and shipped 18,000 tonnes of black farm plastic last year. Most of the plastic goes to Holland where it is recycled into refuse sacks, piping, damp proof products and even garden furniture. A fully integrated waste management and recycling company with a proven track record in delivering efficient, compliant and economical waste management, recovery and recycling solutions for its customers, Walker’s has invested heavily in its facilities and its 12-strong fleet of Iveco, Volvo, DAF and Renault rigids and artics. The Renaults were purchased from Setanta Trucks in Dublin, while the company deals with Longhaul Commercials in Tullamore for all its Iveco needs. “We’re proud of our fleet and our drivers, who are professional, reliable and enjoy a great rapport with customers,” Shaun concludes. Walker Recycling Services is committed to maintaining strong mutually beneficial relationships with its growing client-base and has experience, expertise and resources to satisfy their waste requirements.